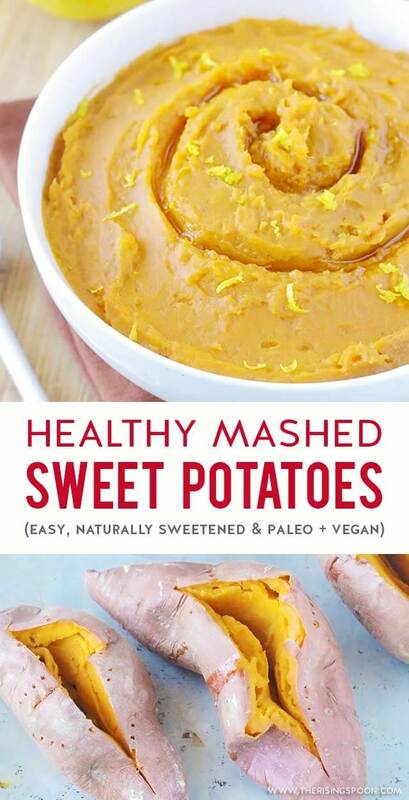 Looking for a delicious mashed sweet potato recipe that isn't overly sweet or covered in marshmallows? 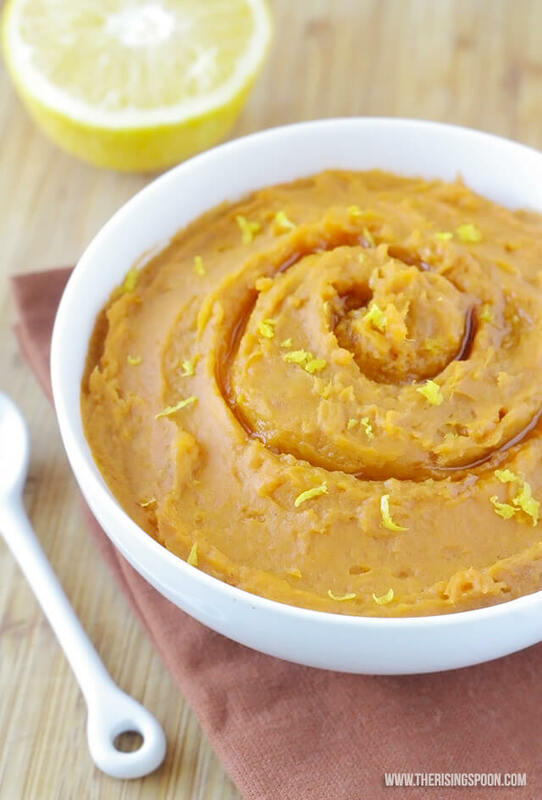 I was in the same boat two years ago, which is why I came up with this mashed sweet potato recipe that features roasted sweet potatoes, fresh orange juice, and real maple syrup. 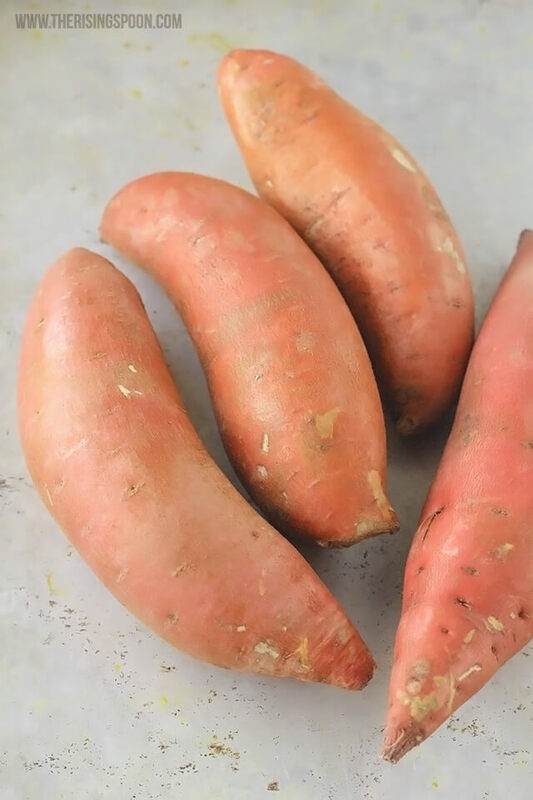 Did you know that when you boil or steam sweet potatoes that have been sitting around for awhile (probably months in supermarket shelves), they can taste a bit bland and less sweet than you'd expect? Hence why many folks slather them with butter, warm spices, and plenty of sweeteners. 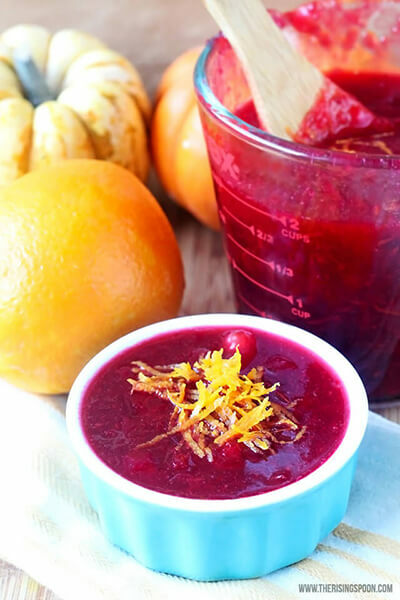 I'm all for the aforementioned mix-ins, but these days I'm more sensitive to sugar (cutting back tends to do that), so I wanted a recipe that let the natural sweetness shine along with some flavorful accents. In order to maximize the sweetness of the potatoes without adding in a bunch of real maple syrup, I roasted them first in the oven--whole and plain--until they were super soft and easy to mash with a fork. Why Go Through The Extra Effort of Roasting The Sweet Potatoes First? A longer roast in the oven for 60ish minutes at 350 degrees helps the starches in the sweet potato break down and the result is a sweeter, way more flavorful tasting potato. Seriously! Roasted sweet potatoes are so ahhh-mazing straight out of the oven (okay, give them a few minutes to cool off) that they don't need any toppings! When I roast one or two as sides for dinner I generally slice 'em open and top the sweet potatoes with a bit of coconut oil or pastured butter and sea salt. The healthy fats help you absorb the fat-soluble vitamins in sweet potatoes (like vitamin A) and the sea salt brings out extra flavor. 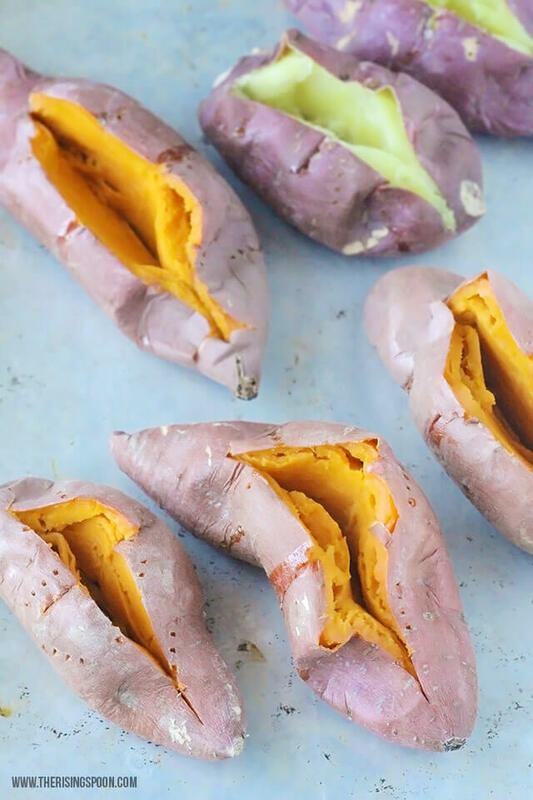 Because this cooking method brings out so much flavor in the sweet potatoes, you don't need much of a sweetener (or any at all). That's good news for folks who can't have added sugar. My dad has type II diabetes, so I was thrilled to serve him some mashed sweet potatoes last Thanksgiving dressed simply in butter, cinnamon, and sea salt. We grew up eating sweet potato casserole (a.k.a. candied sweet potatoes) sprinkled with brown sugar, butter, and mini marshmallows every year for Thanksgiving and Christmas, and he always had to opt out. So I've established that roasted sweet potatoes are delicious plain (yes, really! ), but they taste even better when paired with certain flavors--specifically orange. Fresh orange juice adds a bit of extra sweetness while orange zest brightens the sweet potato flavor and adds an intoxicating (happy) fragrance. This combo really takes sweet potatoes to a whole new level! If you're used to sweet potato casserole and want a topping for extra texture, I highly recommend making a quick & easy batch of stovetop candied pecans with maple syrup. You can chop 'em up and mix them into the sweet potatoes or lay them on top for a pretty presentation. 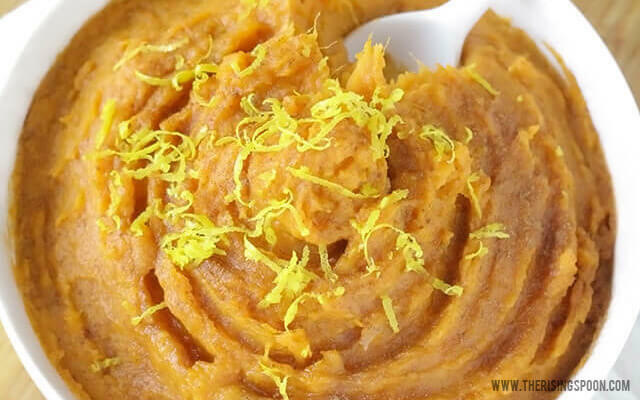 This is the best method for fixing mashed sweet potatoes! 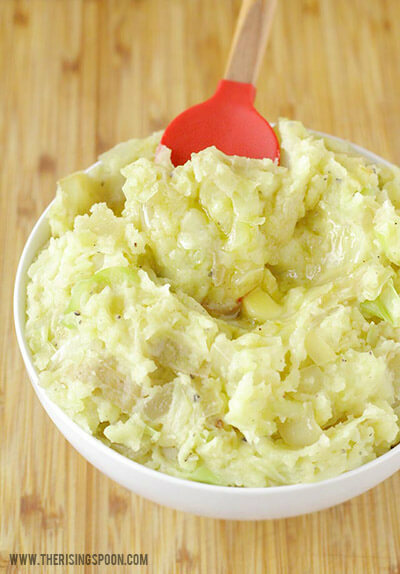 It brings out the potatoes' natural sweetness with hardly any work. 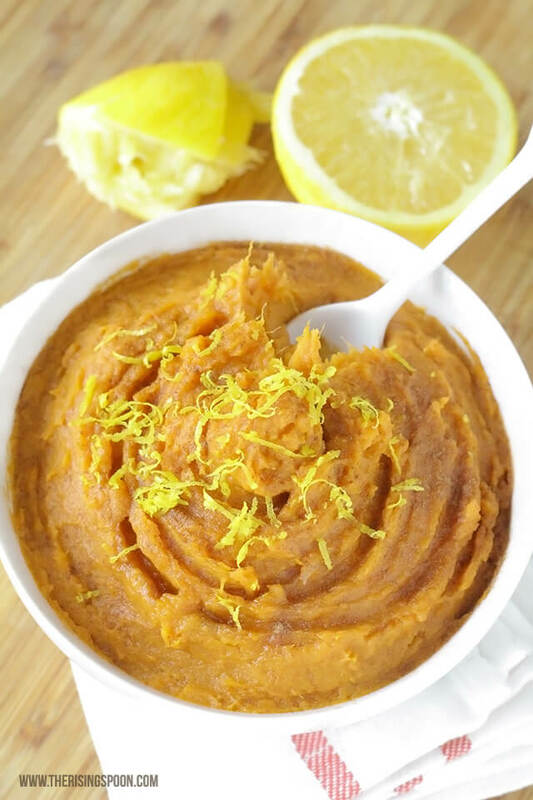 You'll be tempted to eat the sweet potato mash with a simple sprinkle of sea salt (yes, it's that good! ), but it's even better with fresh orange zest, a bit of maple syrup, and warm + cozy spices to compliment the sweet potato flavor. 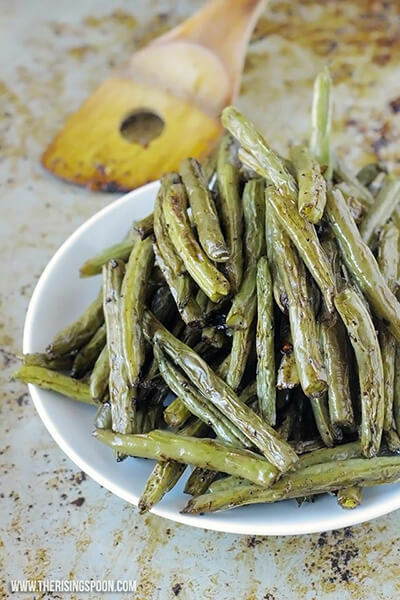 Fix this healthy side dish recipe all year long when you're craving easy comfort food! Pre-heat the oven to 350 degrees. Wash and dry the sweet potatoes, then poke each one several times with a fork. Place the potatoes on a large baking sheet or directly on the middle oven rack and cook for 60 minutes or until all of the potatoes are very tender. While the potatoes are cooking, zest the oranges and set both aside. Remove the sweet potatoes from the oven and let them cool for a few minutes. Slice open the potatoes and either peel off the skin or use a spoon to scoop out the flesh. Don't forget to watch your fingers! (The inside will be hot and steamy.) Place the cooked sweet potato in a mixing bowl and mash with a fork, muddler, or potato masher (this should take hardly any effort as the potatoes will be very soft from roasting) OR use an immersion blender or stand mixer to whip them until they're super smooth. While the potatoes are still hot, stir in the butter, ghee, OR coconut oil, then maple syrup, fresh orange juice, 1/2 of the orange zest, cinnamon powder, sea salt, and cardamom powder (optional). Taste the sweet potatoes and more seasoning, OJ or butter to suit your tastes. When you're ready to serve, transfer to a different container (or use the same mixing bowl), then top with the rest of the orange zest + an extra sprinkling of cinnamon powder. Did you make this recipe? I'd love to hear about it or see! 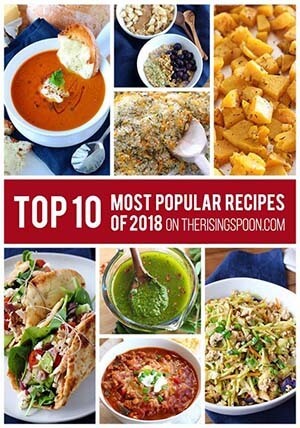 Leave a comment below and/or Follow The Rising Spoon on Instagram, upload a pic, mention @therisingspoon and tag #therisingspoon so I can check out your creation. 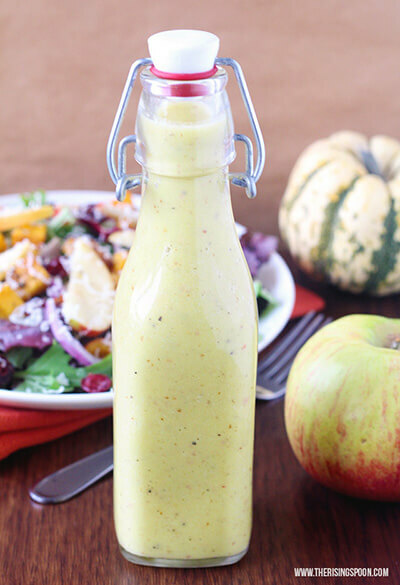 Click Here to Save This To Your Side Dish Recipes Board On Pinterest!